In a climate where natural light can be quite weak, it’s important to let as much of it into our homes especially if you’re showing your house to potential buyers. Open all the curtains and blinds, turn on all the lights and look at each room through the eyes of a buyer. Position mirrors beside windows, and make sure they are spotlessly clean to really make the most of the light. Keep in mind that viewings may happen when it’s dark outside, so it’s a good idea to repeat the exercise in the evening, when there is less natural light. Sometimes wall colours and decor can make a room seem dark no matter how much light is pouring into the room. If you don’t want to paint or replace these things, here are some alternatives you could consider. Use coloured throws, bedlinen, curtains, rugs and other accessories to brighten up the space. 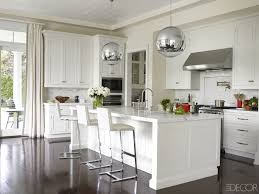 The Kitchen needs to be really well-lit, with both overhead and directional lighting to create maximum functionality. Spotlights work well in kitchens, either ceiling sunk, or on a bracket. They ensure that the light is well-distributed and as shadow free as possible. Under-cabinet lighting will light up work surfaces & the sink and special features such as an Aga can be specifically lit with directional lighting to enhance them. Kerb appeal is just as important at night as it is during the day. Potential buyers may drive by at any hour to check out your home and neighbourhood. 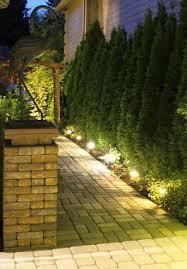 A well-lit garden not only invites buyers, it also discourages burglars. Your potential buyers may not be consciously thinking about it, but they will probably feel safer in your neighborhood, the more light they see. Path lighting creates a welcoming impression and a whole new world of shadows and interesting shapes. Creative lighting can really transform the dullest darkest house. Just think carefully about the mood you’re trying to create and the use for the room, and plan accordingly. 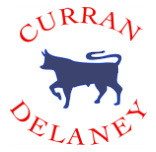 If you would like advice on this or other elements of selling your home why not contact the team at Delaney Estates.